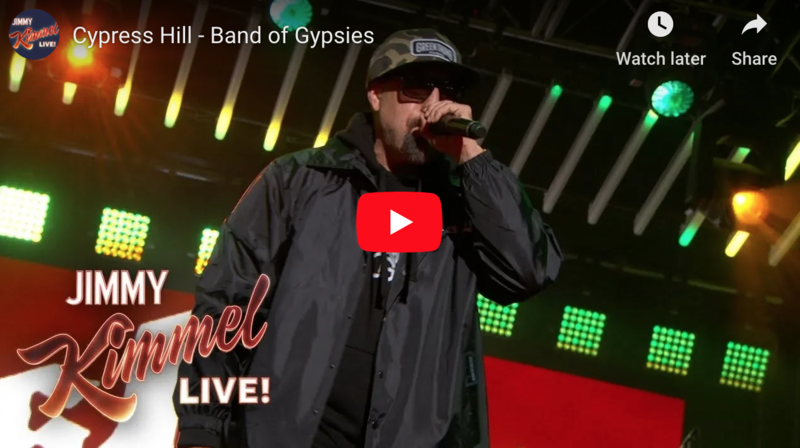 Cypress Hill performed “Crazy” and “Band of Gypsies,” two tracks from their acid-soaked, psychedelic ninth LP, Elephants on Acid, on Tuesday’s Jimmy Kimmel Live. 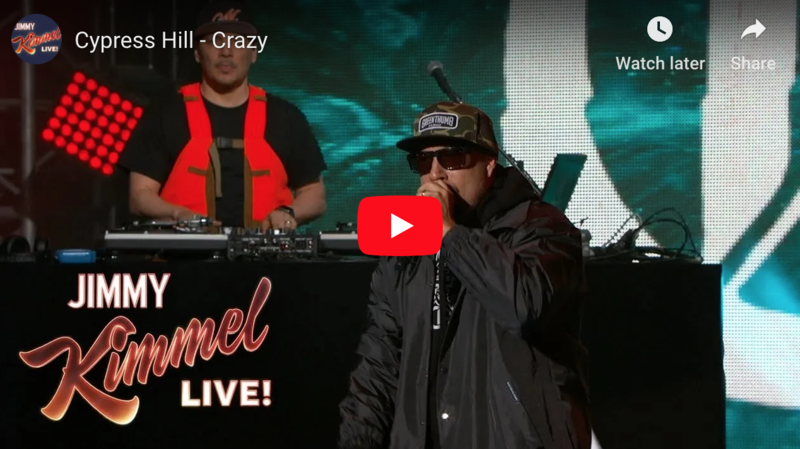 The hip-hop group – including newly recruited turntablist and former Beastie Boys member Mix Master Mike – kept things simple onstage, with emcees B-Real and Sen-Dog bouncing around while percussionist Bobo pounded out simple beats in the background. Both songs fit into their druggy aesthetic, full of stoner-friendly rhymes.